Impact confirmed, via a press release, that it would send its biggest stars, including Impact World Champion Austin Aries, for the card on April 6. Alberto El Patron, Eli Drake, Moose, Eddie Edwards, LAX, oVe and Sami Callihan, Trevor Lee and ‘The Machine’ Brian Cage will also be present. The company’s Knockouts will be represented by Allie, Rosemary and Taya Valkyrie, while Scott Steiner “will also be in the house, live and uncensored”. Lucha Underground Champion Pentagon, plus Fenix, King Cuerno, Drago, Aerostar, Killshot, Matanza, The Mack and Jack Evans will represent the LU roster. 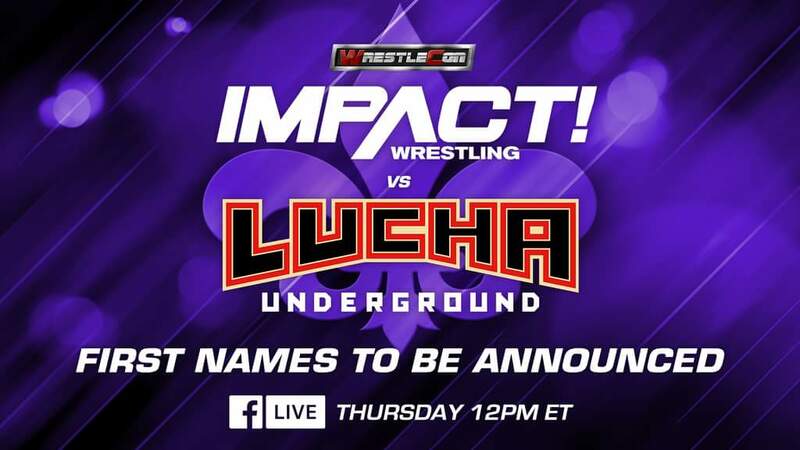 Ed Nordholm, president of Impact Wrestling, said: “We are excited and honored to expand our partnership with AAA and Twitch for this groundbreaking co-promotion with Lucha Underground. The show will air live and exclusive on Impact’s Twitch channel, which will feature more than 10 hours of original daily content for three days during WrestleCon.